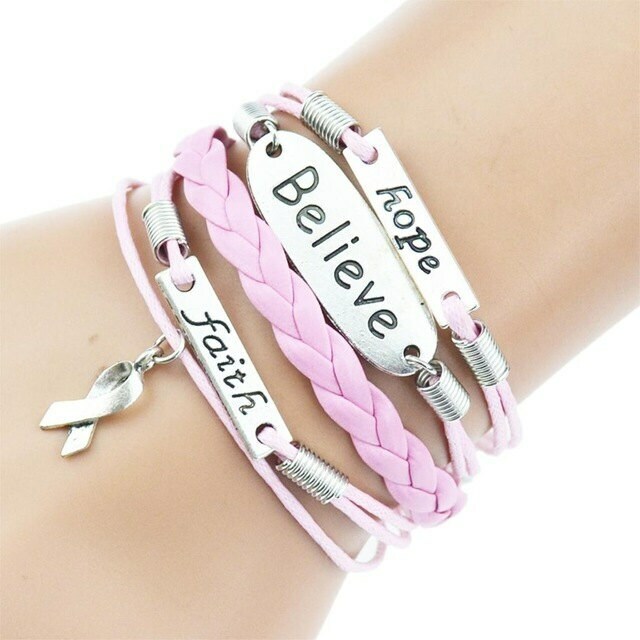 This beautiful pink and white leather bracelet consists of five separate strands with charms that say Hope, Believe, Faith, and a symbol representing Cancer Awareness. This listing is for 1 (ONE) bracelet. If you would like more than one, simply choose your quantity from the menu. So cute! It got here really fast as well. Excellent all the way around!